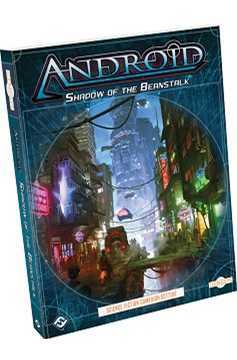 Travel to the darkest parts of New Angeles with Shadow of the Beanstalk, an Android sourcebook for Genesys roleplaying! 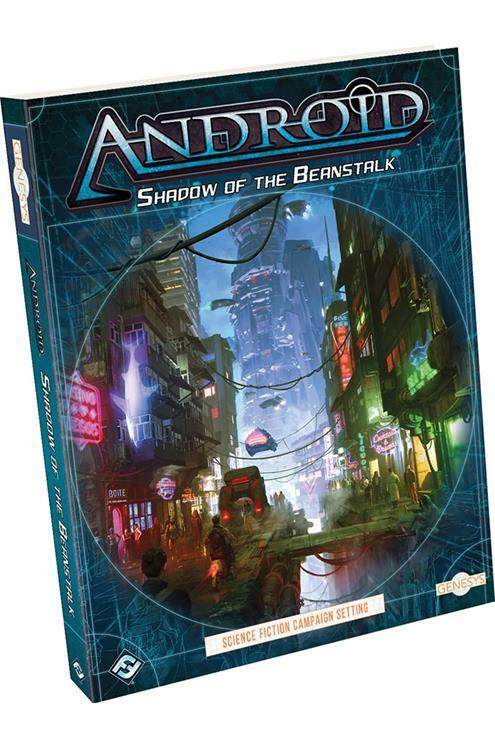 Shadow of the Beanstalk is a 256-page sourcebook for use with the Genesys Roleplaying System. In this book, you'll find new rules for character creation, new weapons, equipment, and adversaries, new rules for running the net, a guide to New Angeles, and advice for Game Masters running a campaign in the cyberpunk future of Android. All of this new information and rules comes accompanied by beautiful art and elegant mechanics that can be used in any setting for the Genesys Roleplaying System. .